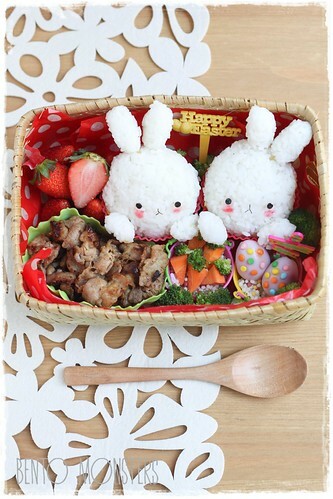 For lunch, they had rice, pirk, carrots, quail eggs, broccoli and strawberries. 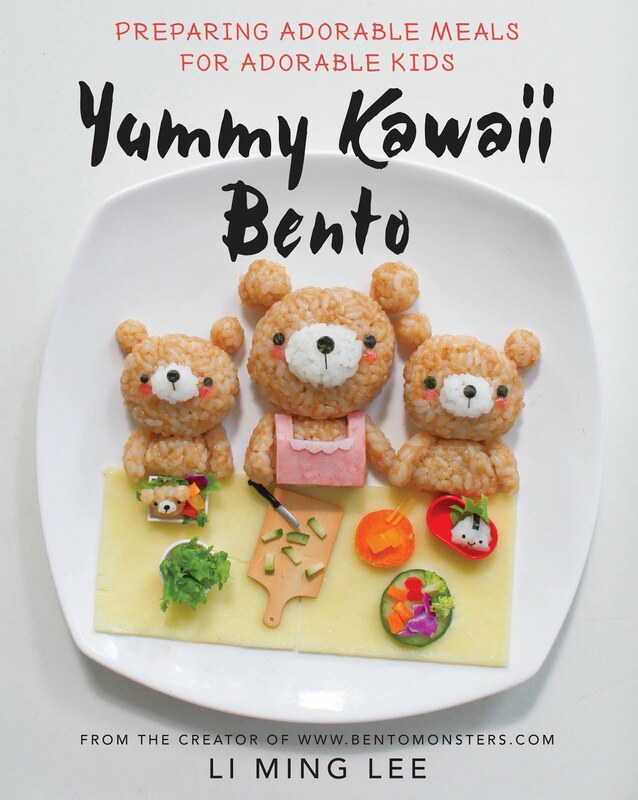 Bunnies are made from rice and nori. 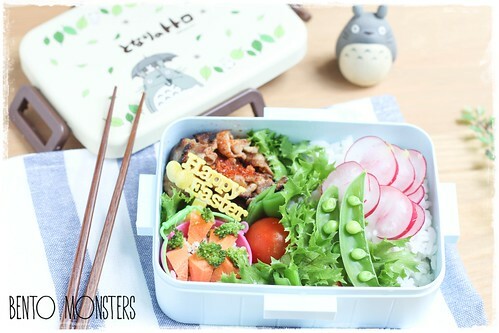 The mini carrots are made from carrots and broccoli. The easter eggs are quail eggs dyed in natural colouring and decorated with sprinkles. 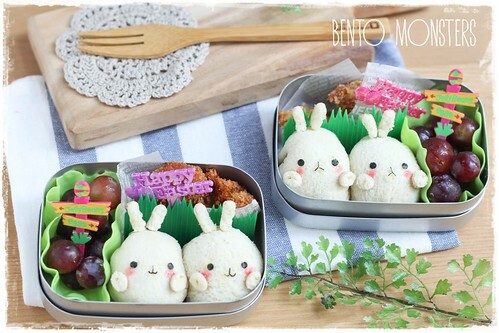 Bread ball Molang for their snacks. The bread balls are filled with jam. 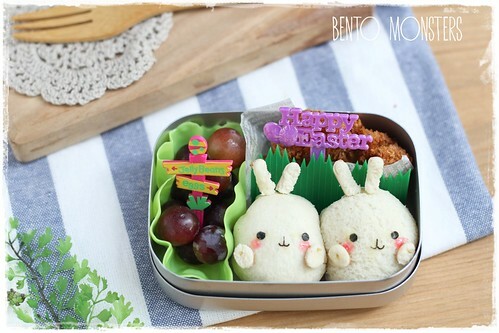 Bento is also packed with grapes and pork cutlets. 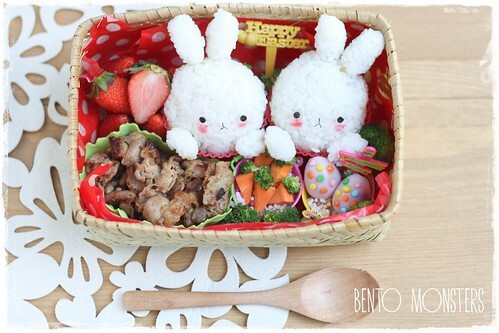 I packed and Easter themed bento for myself too. My box is filled with rice, sweet peas, radish, tomotoes, pork, carrots and broccoli. These bunnies look so quietly ^^. Signs next to them are cool too! 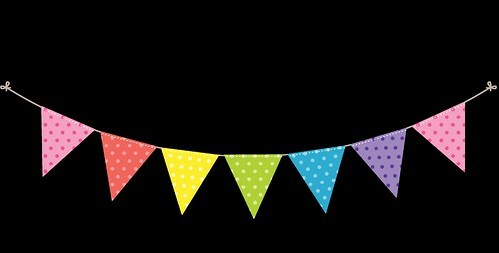 I love the colours because they make me think optimistically about the spring and weather (snow...it hurts :P). What show did you just watched? So nicely arranged! Love it!